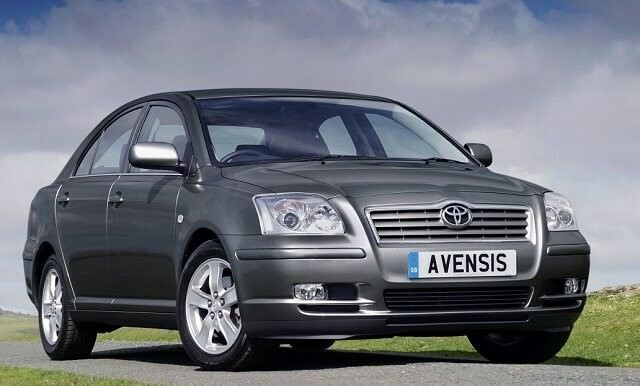 Make no mistake; the Toyota Avensis isn't an exciting car, but it will give you an easy life. Bulletproof reliability makes it as safe a bet as any and strong sales mean it's easy enough to find on the used market. It isn't the most exciting family car on sale but the Toyota Avensis is certainly one of the most dependable - and it's an institution for Irish buyers. The Japanese firm, and the Avensis in particular, have long been renowned for exceptional reliability. It's also comfortable and safe, with particularly strong diesel engines. The driving experience is far from the best in class, though. Available as an estate and a saloon, the Avensis is every inch the fleet family favourite. Petrol engines range from Toyota's entry-level 1.6-litre unit to the 1.8-litre VVT-i, through a 2.0-litre to a rare 2.4. The former three are common, smooth and free-revving, if a little underpowered, while the latter wasn't around for long because of its lack of economy, so it's hard to find. It's very refined, though. The Avensis began with just a 2.0-litre D-4D diesel engine on offer but a much more competent 2.2-litre item arrived in 2005. The range received a mild facelift in 2006 along with power boosts for the diesel engines. Toyota Ireland specifies its cars as Terra, Aura, Strata, Luna and Sol, in order of luxury and equipment. Go for the highest spec you can afford. Bear in mind that, pre-2008 and the introduction of CO2-based taxation, more 1.6-litre petrol Avensis were sold. After that the 2.0-litre diesel model dominated. The advent of the third generation Avensis in 2009 means that values of this second-generation version are on the downward spiral. This means you can get hold of a better specified model for not much cash. We'd recommend the 2.2-litre D-4D diesel engine because of its fine economy and strong pulling power. Equally you can't go wrong with a 1.8-litre VVT-i petrol - it's tough, cars fitted with it are cheap to buy and it's hardly any less powerful than the heavier 2.0-litre version.